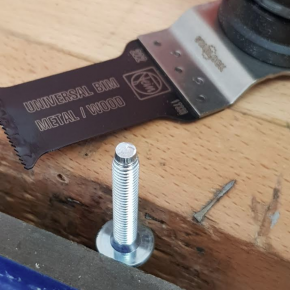 New FEIN multi-tool user Chris McGee gives a positive testimonial on how he found using the machine and cutters, following his purchase at FFX tradeshow earlier on in the year. FEIN Starlock accessories are proven to last many times over that of comparable competitor blades, offering enormous value when comparing price to the life-time of the blade. 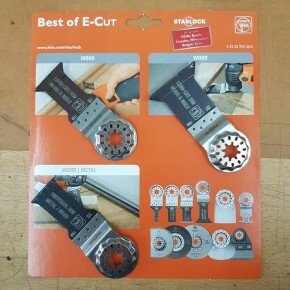 The team considered requests for assortments of accessories, last year releasing a ‘Best of E-Cut’ set, featuring six of the best cutters in the range, for a promotional price. Chris, who is MD at Lasercut.London Ltd, attended the FFX show earlier this year to purchase a Multi-Talent kit for his bespoke carpentry work. He commented: “Regretfully FEIN wasn’t my first choice, however alternatives offered plug-in tools and the price was hard to justify for the potential usage it would see in my hands. 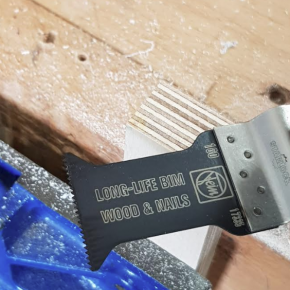 “After borrowing a FEIN product from a friend, I knew I had to add one to the ranks, so I decided to visit the FFX show in Kent with my 3-month-old boy. 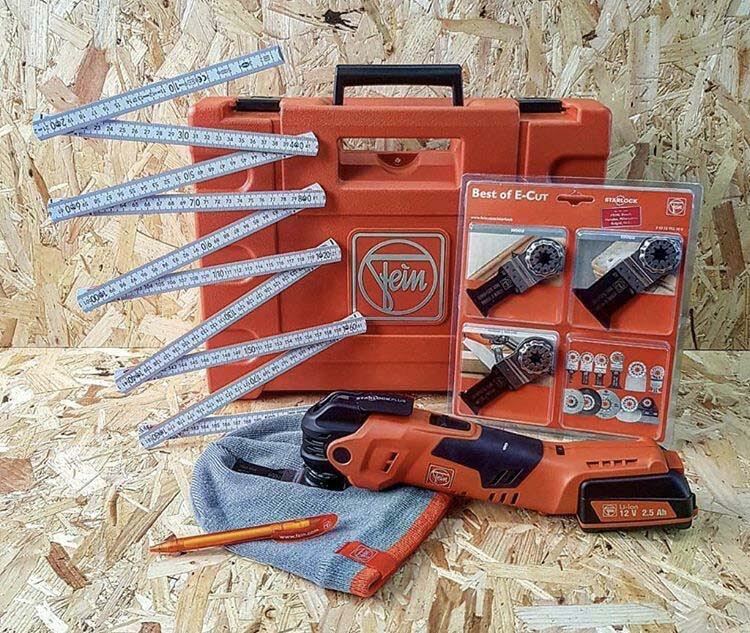 “I had a great chat to the FEIN team, and after testing I knew that the 12v Multi-Talent Kit was the right one for me. The Starlock system wowed me, as it was so easy to change cutters so quickly, and I could see how snuggly the tool held the piece, so I knew it would cut smoothly, and I purchased a ‘Best of E-Cut pack’ with it too! “Upon getting back to the studio we trialled the various blades on materials we use commonly such as Valcromat, Banova, Plywood and the hardest material, bolts. 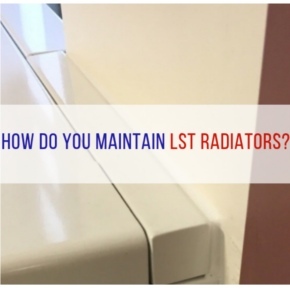 In every circumstance, it exceeded the speed and cut quality that my preconceptions had. 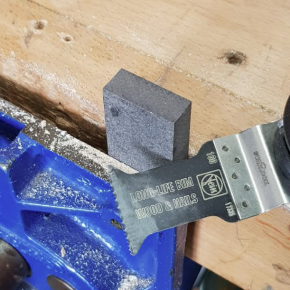 “It has now dawned on me how this tool could have saved me many hours of problem-solving, especially when cutting square holes into the centre of sheets. 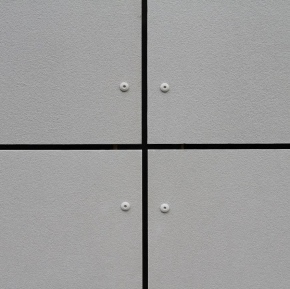 Now I will no longer have to drill four holes in each corner and then jigsaw the remainder out. 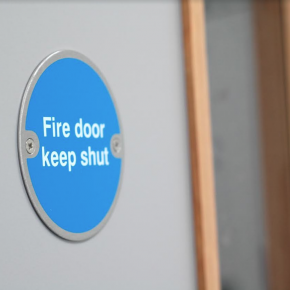 “I especially used this tool and the best of E-Cut blade pack during my studio move in April, where I delivered a bespoke fit out of two studio spaces. I used the tool during the creation of the kitchen, workshop and showroom. The Best of E-Cut pack is FEIN UK’s first ‘official’ value pack for its UK customers, offering an assortment of the best cutters that can be used commonly on typical applications faced by tradespeople ‘on the job’. 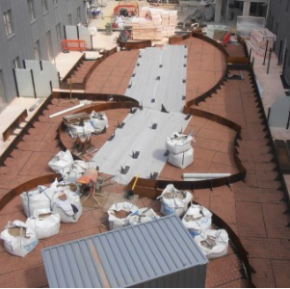 This year, the company has announced the launch of four more additional value packs, each of which support with a particular area of work such as flooring, window work or bathroom installations.